Apple about to Join the 2.5D TSV club? By mid 2011 there were many reports that TSMC had started tooling up its 28 nm process to fabricate the A6 for Apple. 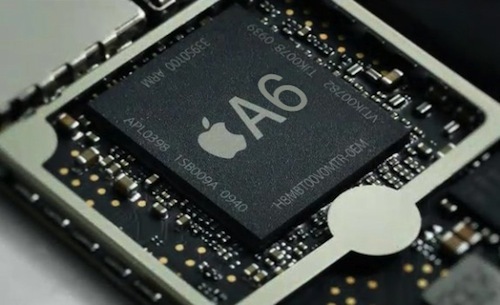 The Apple A6 will be based on an ARM Quad Core Processor. Mid summer rumors were that the A6 would use "Intel 3D technology" technology , but recall this was the period in which several publications were totally confused over the difference between a finFET and a 3DIC [ see IFTLE 62, "3D and Interposers - Nomenclature Confusion..."] so I wasn’t really sure what they meant. Thus IFTLE now finds that it is highly likely that 2012 will bring us at least announcements (if not actual production) from Apple that their next processor will make use of 3D IC technology. How many IC Fabs are Ready to "Bet the Ranch"
Growing up as part of the first TV generation in the USA (my family got its first TV in 1954 when I was in kindergarten), many psychologists have said that the impact of TV on my generation was profound. After Howdy Doody (a puppet show) and Crusader Rabbit (the first animated TV show by the group that later brought us the cult classic Rocky & Bullwinkle) my favorites shows were the westerns like "Have Gun will Travel" and "Rawhide" (which gave us Clint Eastwood). 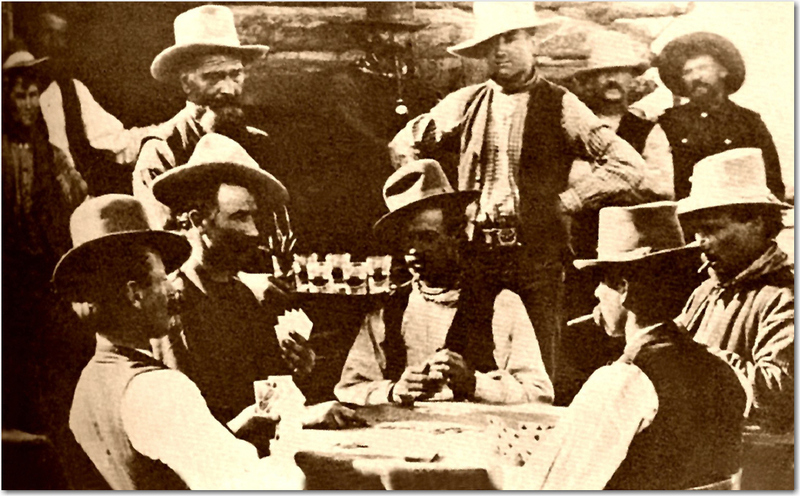 Part of all great westerns is the poker game in the saloon. The "good guy" (always in the white hat) is always the underdog and the "bad guy" (in the black hat) always has a table full of chips. When the good guy finally gets a hand that cannot be beat, the bad guy always bets more chips than the good guy has left on the table. That’s when the good guy literally "bets the ranch (or maybe the farm)" on his unbeatable hand. Why he happened to be carrying the deed to his property in his back pocket was never actually explained. That phrase, "betting the ranch" has survived into today’s lexicon and that’s what a lot of microelectronic companies will be asked to do if they want to move forward with advanced technologies. IC Insights recently reported that Intel and Samsung plan $12.5 billion, $12.2 billion in capex respectively which is more than double the 2012 capex of TSMC (budgeted $6.0 billion). Combined, Intel, Samsung, and TSMC are forecast to account for about half of the total semiconductor capex spending in 2012. Samsung currently serves as Apple’s foundry partner for the A4 and A5 application processors used in iPad tablet computers, iPhones, and iPod touch devices. Besides serving as a foundry partner for Apple, Samsung is aggressively ramping its in-house application processor business as demand increases for its smartphones, tablet PCs, and other mobile/media related devices. Meanwhile, the remaining $5.7 billion of Samsung’s capex budget will be applied to the production of memory ICs, with a good portion of the funding likely to be used to boost capacity for NAND flash memory. Intel is nearing completion of, and will soon be equipping and ramping production at, three new wafer fabs located in Chandler, AZ, Hillsboro, OR, and in Ireland. The company plans to begin 14nm production in Chandler when that fab opens in 2013. The new Hillsboro facility will focus on process development using 450mm wafers when it begins operations in 2013. Meanwhile, several fabs will begin 22nm production in the second half of 2012. Samsung, Intel, and TSMC are positioning themselves as the strongest and most dominant IC suppliers in the industry and if anyone want to challenge that — well they may have to bet the ranch! Weaker suppliers will be forced out of the business and a higher percentage of capex spending will be in the hands of the fewer remaining players. Masaaki Tsuruta, CTO of Sony Computer Entertainment, says that the company is working on a system-on-chip (SoC) for their fourth generation console which will not be called PlayStation 4. [link] The engine that powered the PS3 reportedly cost $400MM to develop; the main SoC for the new console could be the first $1bn hardware design project. Tsuruta indicated that there is likely to be a 3D stack incorporating TSV technology in the next generation console. Sony’s target of no more than 50ms latency even for 8k x 4k resolution at 300fps, clearly points to the need for a highly integrated TSV-based package although Tsuruta warns "We will have to work with a lot of third-party partners to make these things happen." 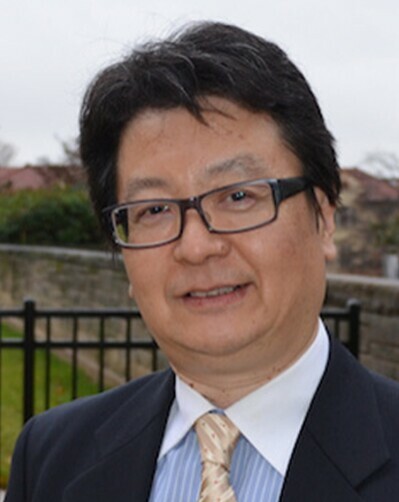 Noting the recent difficulties that several fabs are having trying to achieve viable yields at 28nm, Tsuruta commented that he believes that these problems are now moving towards a resolution. Our friends over at IC Insights recently put together a Look at the Semiconductor Industries top 10 sales leaders over the past 25+ years. In case you haven’t seen this, I thought you might like to take a look. You can interpret these results without any help from me.